Few things encompas the elegance of the blushing bride more effortlessly than her bouquet. 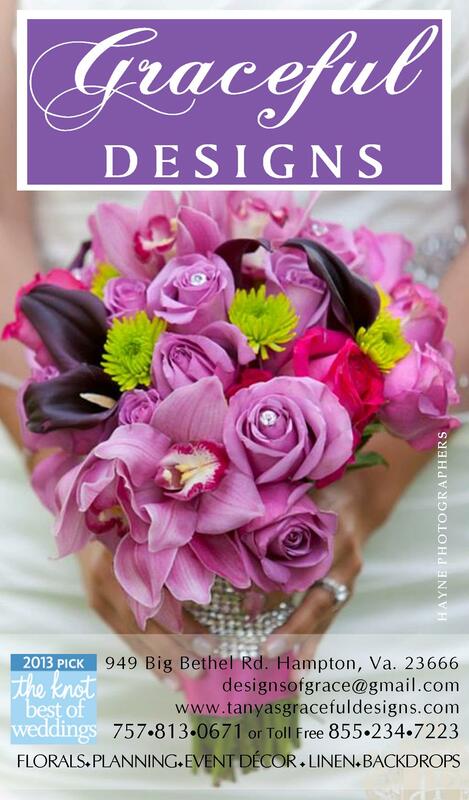 At Graceful Designs, we provide arragements that capture ‘the good side’ of every petal. If the new ad below doesn’t make your eyes bulge with a color overload, your screen MUST be stuck in black and white!